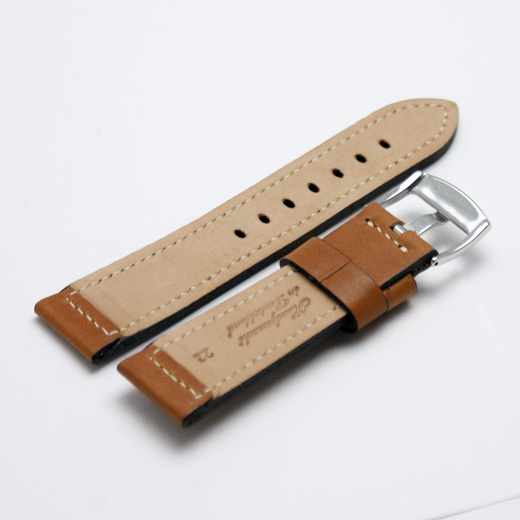 Finest Quality, hand made in Germany using a fifty step process and with a keen attention to detail, this smooth light brown calf leather watch strap is thick with a cut edge finish and rice coloured detail stitching. This strap is also available with a pad for aviator style watches here. The version on this page does not have a pad, it is just the strap as shown above. 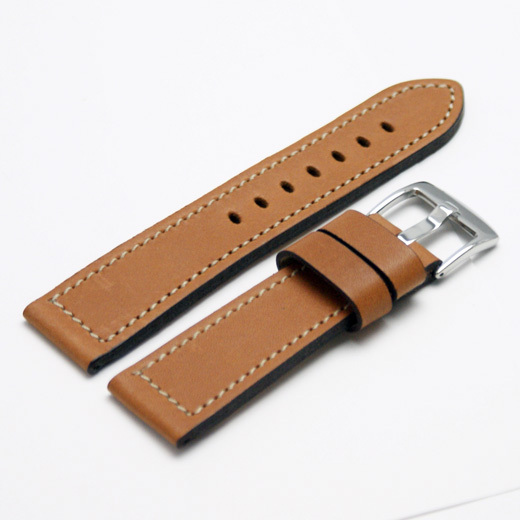 This strap will fit any watch were the distance between the lugs is 20mm, 22mm, 24mm or 26mm (depending on the strap you buy). Like all of our products, it is brand new and in stock in the UK, ready for our super fast shipping. Please note: the shade of this strap does vary from batch to batch. 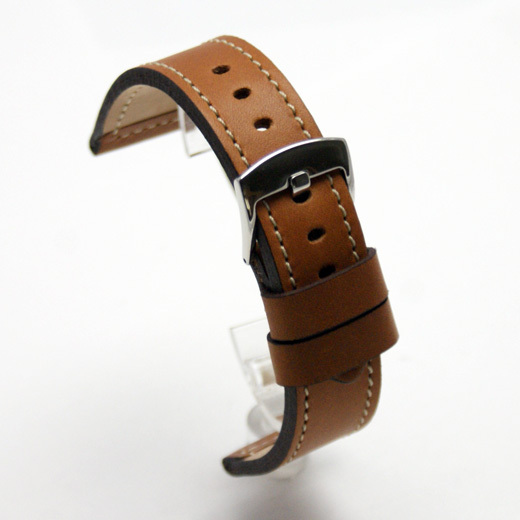 It can be slightly darker than the pictures for some straps. If you would like to check this please email us with the width you want to buy before buying.